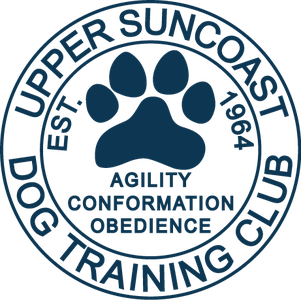 The stuctured Sub-Novice Class is an 8 week class focusing on attention and more concise heeling along with introduction to the first level of obedience competition (Companion Dog: CD titles) for AKC and UKC. On the eighth week of the structured Sub-Novice class, evaluation for the Canine Good Citizen (CGC) certification will be offered at no additional charge. Requirements: Must have Basic Obedience or equivalent training. Click on the dog to access any homework for your class. You will need a passcode provided by your instructor to enter this area. Drop-ins are welcome for this Sub-Novice Class focusing on attention and more concise heeling along with introduction to the first level of obedience competition (Companion Dog: CD titles) for AKC and UKC. Requirements: Must have Basic Obedience or equivalent training. Please contact the instructor if you would like to attend this class.